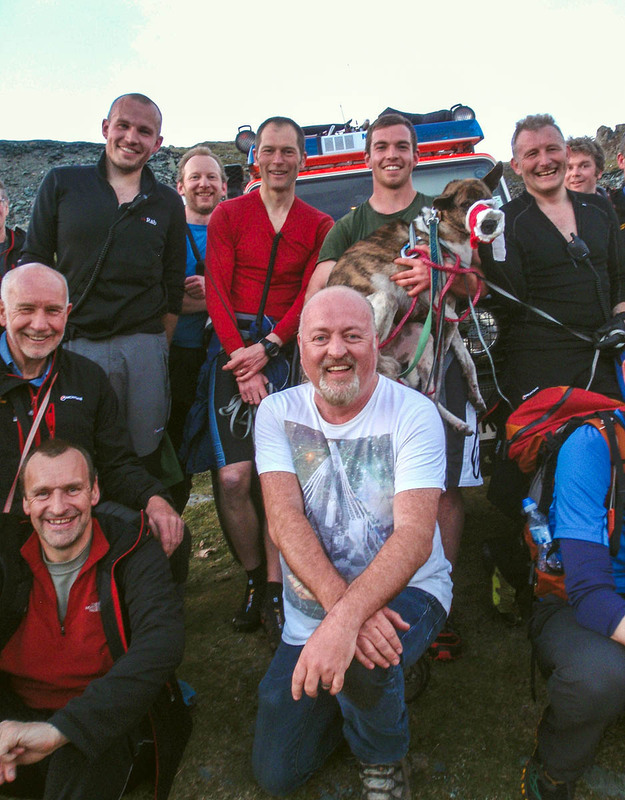 A Lake District mountain rescue team had its second-busiest on record in 2015, with 76 callouts recorded in the year. 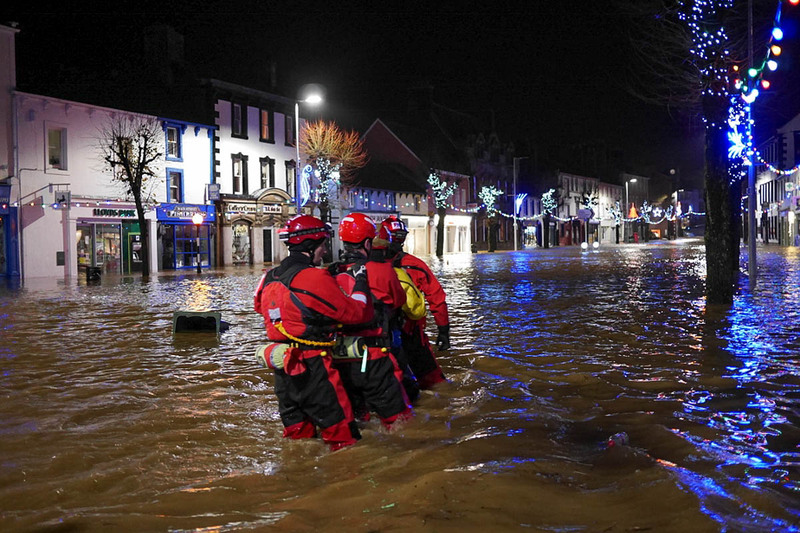 The Cockermouth team had to deal with two fatal incidents as well as a repeat of flooding in its home town and further afield. On a lighter side, a pursuit of a large dog around the Buttermere fells resulted in the successful capture of Tiger and a reunion with his famous owner, comedian Bill Bailey. The team received donations from as far away as San Jose in California, from grateful walkers who were helped when they got into difficulties tackling the Coast to Coast route. Deputy team leader Andrew McNeil said the Cockermouth volunteers were called out to an incident in July where a mother and daughter were reported to be cragfast somewhere near Green Crag in Buttermere. “A subsequent report stated that someone had fallen,” he said. “Tragically the 24-year-old daughter died from her injuries. Our thoughts remain with Victoria’s family and friends who have kept in close contact with the team, and have raised money for us through various sponsored events including an expedition to Everest Base Camp. The team’s 53rd callout of the year also had a sad outcome, Mr McNeil said. “A paraglider was reported missing on a flight from Burnbank Fell at Lamplugh. “He was wearing a tracker device which helped enormously in locating his position. 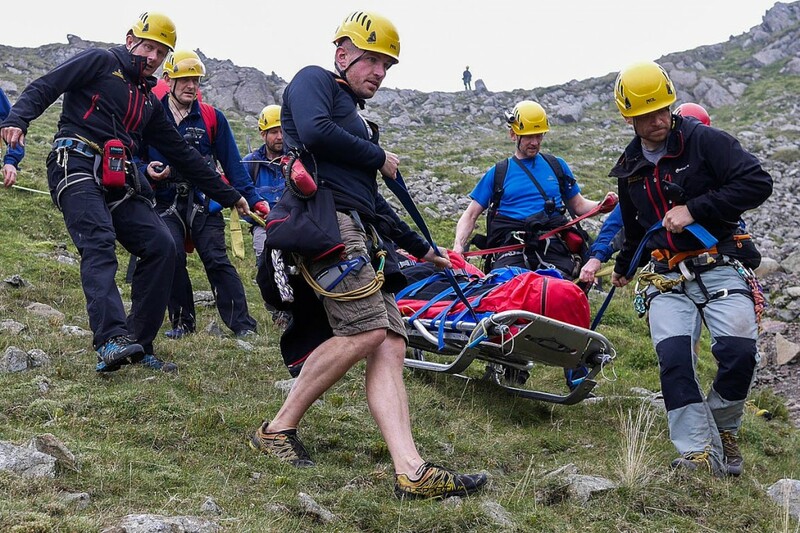 A night search of the steep east side of Fleetwith Pike among the crags, with the help of the new Sikorsky S-92 rescue helicopter, eventually resulted in his body being located and airlifted from the scene. “This was the first callout that the S-92 attended with our team. It certainly looks a most capable aircraft, and is technologically light years ahead of its predecessor. “Of course, we will all miss the RAF and the venerable fleet of Sea Kings. Rescue 131, Rescue 177 et al, have been there for us and our casualties on so many occasions. We wish the crews and all those associated with keeping these aircraft on the front line for so long, all the very best for the future. The deputy leader told the team’s annual meeting of its members’ brush with celebrity. “Some callouts just make you laugh – and fittingly, none more so than the search for a Tiger. “It had gone missing in the Haystacks area – it was a nice evening so there were plenty of volunteers to go and find it. “‘Is that the owner? He looks like Bill Bailey, the world famous comedian’. It was Bill Bailey. Mr McNeil paid tribute to team members who retired from active service. “It’s sad to lose people and this year Rod Moore and Alan Irving have stood down with 56 years of service between them. “Rod could out-climb all of us in his big boots, and quite often I thought Algie was the only one who ever knew exactly whereabouts on the fell we were. “Paul Twyford, Gwyn Lewis and Chris Abbot have all stepped down from active service and have become honorary members. Chris has been the mainstay of the teams fundraising and PR efforts for many years and his tireless commitment would be a challenge to replace. The team’s chairman Steve Brailey said Cockermouth MRT was better equipped than when floods last hit the area. He said: “There were many differences to the floods in 2009, but for us the main one was the level of equipment that we had. So instead of sharing a handful of dry suits everyone was fully and properly equipped. “All this equipment was purchased from generous donations, with many local and other supporters holding fundraising events, and these efforts continue. Mr Brailey, who is stepping down as chairman, said other team members also achieved remarkable levels of service, including John Bulman with 50 years, and Steve Jones with 40 years of continuous service to Cockermouth mountain rescue. Mr Brailey also thanked the crews of the military rescue helicopters that had helped the team over past decades. “For many of us in mountain rescue teams, and those who have been rescued, the sight of a yellow or grey Sea King helicopter became a familiar and reassuring sight over many years,” he said. “2015 saw their last flights in the Lakes, and for Cockermouth this was to rescue an elderly woman in December in the midst of high-speed flood waters in the North of the town. “I thank the members of Royal Navy Prestwick, RAF Leconfield, RAF Boulmer, and RAF Valley for their contribution to sea and land rescue since the 1960s.